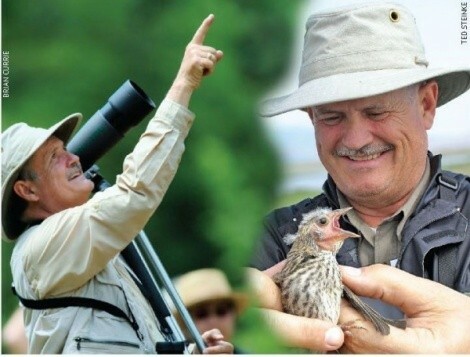 The 12th annual Great Salt Lake Bird Festival takes place May 13-17 (Davis County Legacy Events Center, 151 S. 1100 West, Farmington, 801-451-3286, GreatSaltLakeBirdFest.com). Many of the lake’s 200 bird species can be viewed on the lake during migration. Keynote speaker, author and bird enthusiast Bill Fenimore talks about all things winged, from the joys of observation to the perils faced by the lake’s birds. The neat thing about bird-watching is it’s as simple as looking out the kitchen window to a bird feeder—the wilderness of the backyard. It’s not a real complicated activity, although someone could make it much more involved. One helpful resource is the Audubon birding trail-map series, which tells people when and where to go and what they’ll likely see. What is the biggest threat to Great Salt Lake birds? Development and commercial uses that draw down the lake level. We did an analysis of lake use, and it’s amazing that there were 70 different entities using it in various fashions. This includes diverting water from its tributaries for Utah’s growing population and water needs. Much more land will become exposed, and with less water, brine shrimp will be depleted and the birds that feed on them will be in trouble. What are the proposed solutions? First, we need to develop a master plan and establish a commission. Gov.Gary Herbert is going to set up an advisory board for oversight, which is blunt as a tool. It’d be more useful if it had some authority as a commission. People are destroying the lake’s vibrancy because there isn’t coordination, and taking action against [the destruction] is difficult. Why should we care if birds go elsewhere? Tourism is a major industry in Utah. People come for the natural resources and to enjoy watching wildlife. Birding is a multi-billion dollar industry. If environmental factors throw things off, the birds that create that magnet won’t be here, and those economies will suffer, as well. How does the lake’s rising mercury levels impact birds? Well, in short, it’s an adverse outcome. Right now, there are advisories for duck hunters against eating certain ducks, because of the methylmercury that gets in their flesh. We don’t know all the impacts—these ducks might glow in the dark. And, we don’t know all the sources of mercury. Is it coming from mines, discharges or is it natural? It’s not fully understood. 5 Spot 5 Spot Why watch birds?